Eagle Crest Apartment rentals in Las Vegas were designed with the comfort of the residents in mind. 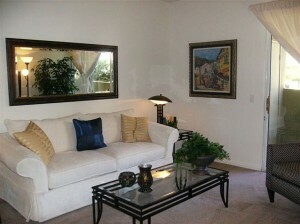 Luxury living at it’s best, Eagle Crest offers four distinct floor plans with one, two, and three bedroom apartments. In addition Eagle Crest is a pet friendly complex. Some of the amenities featured in these rentals in Las Vegas are cozy gas fireplaces, 9 ft. ceilings, and a washer and dryer in every unit. Apartment Community features include, heated pool, tennis court, basketball court, two fitness centers, playgrounds, and a theater room. Located in NW Las Vegas, this complex is just off the strip with it’s unlimited entertainment, shopping, and dining possibilities.